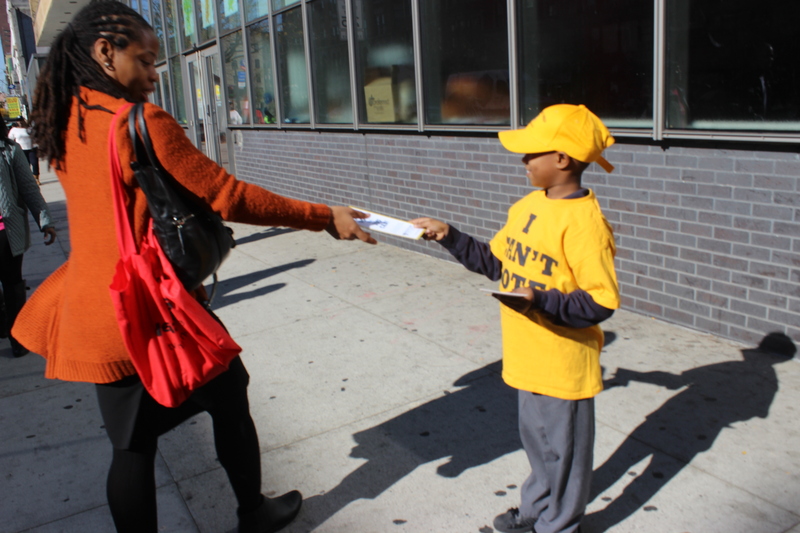 On Tuesday, November 3rd the intersection of Madison and 125th Street in Harlem was a sea of yellow hats on all corners. 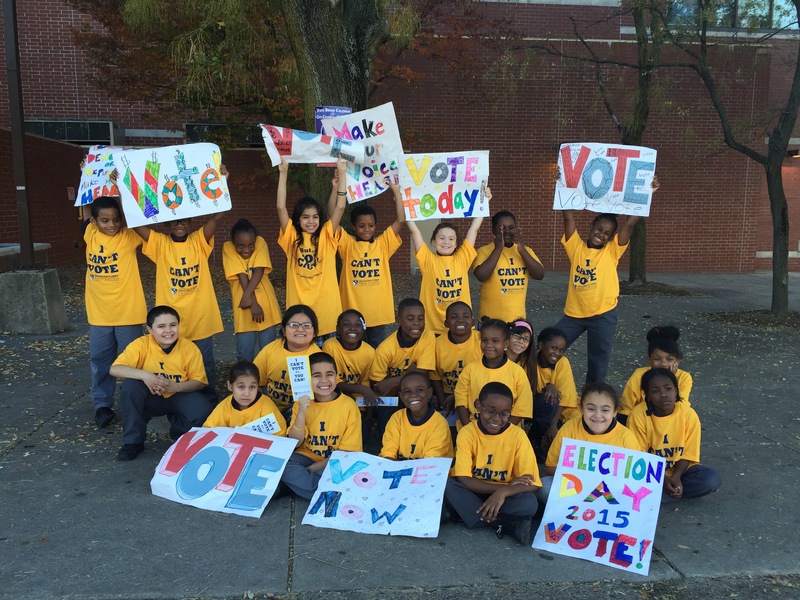 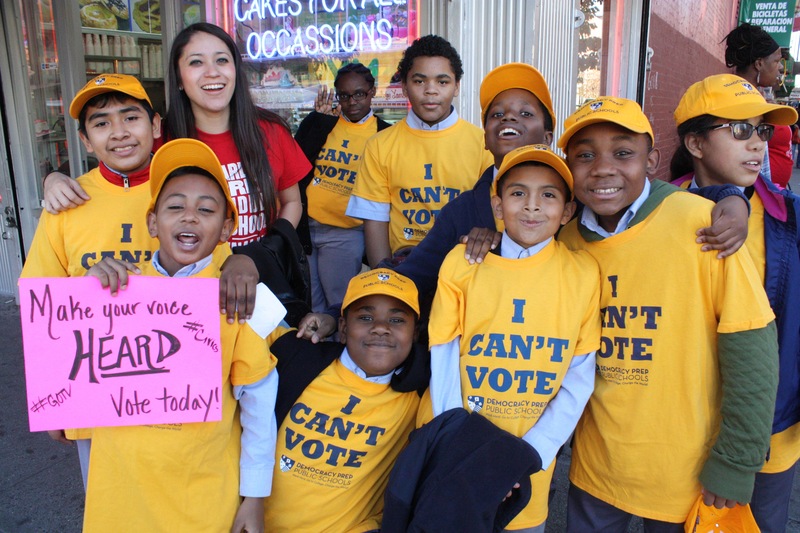 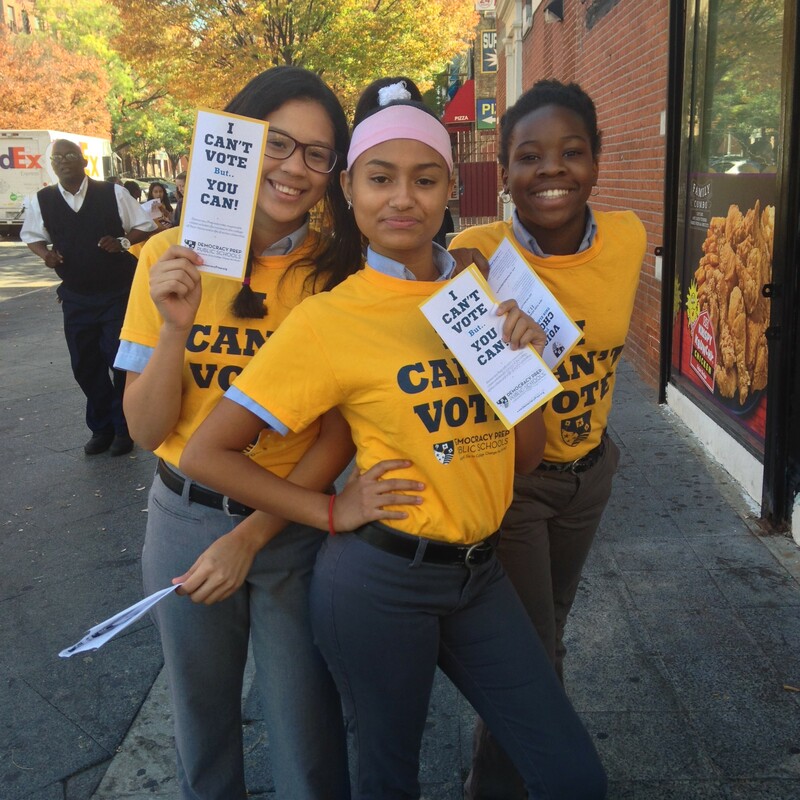 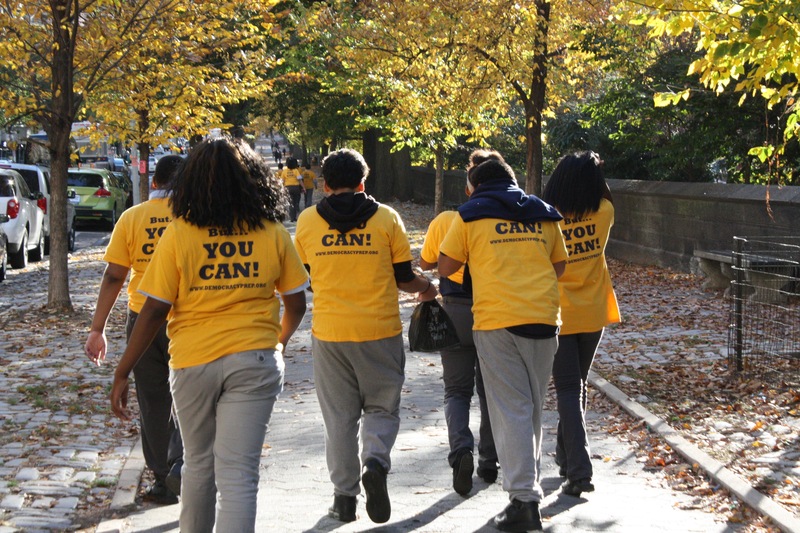 Scholars from schools across the Democracy Prep network came out in full force to participate in the Get-Out-the-Vote campaign, encouraging residents to “voice your choice” in the New York general election. 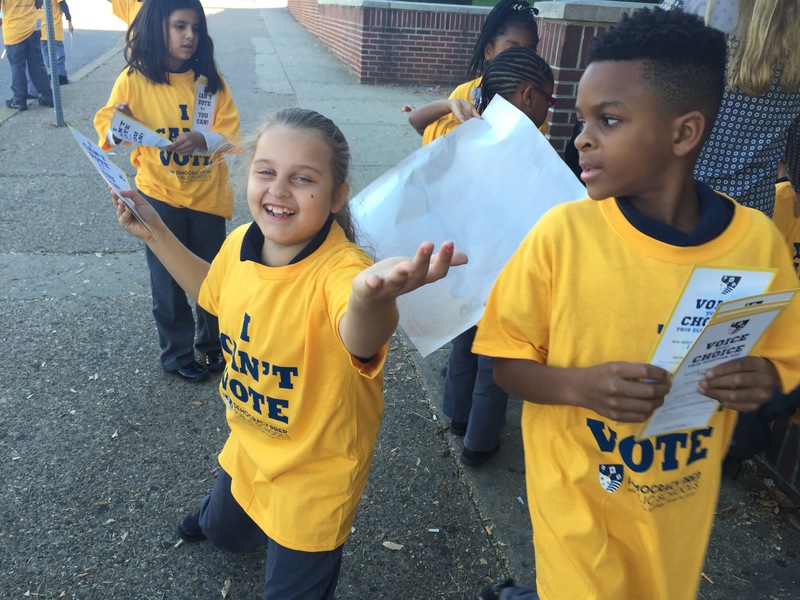 “It’s important to vote so that people hear your voice,” explained Isaiah, a second-grade scholar. 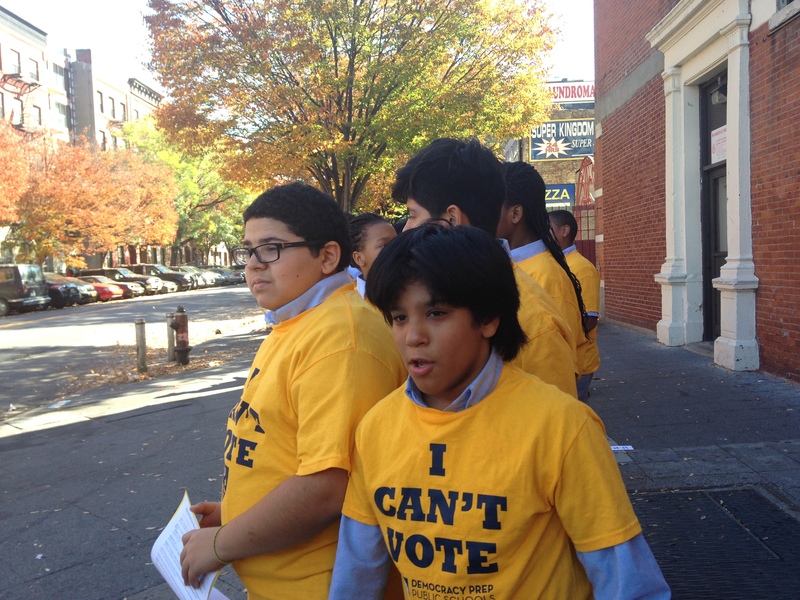 “People need to fight for justice and see who will be president,” suggested Anaiah, his classmate. 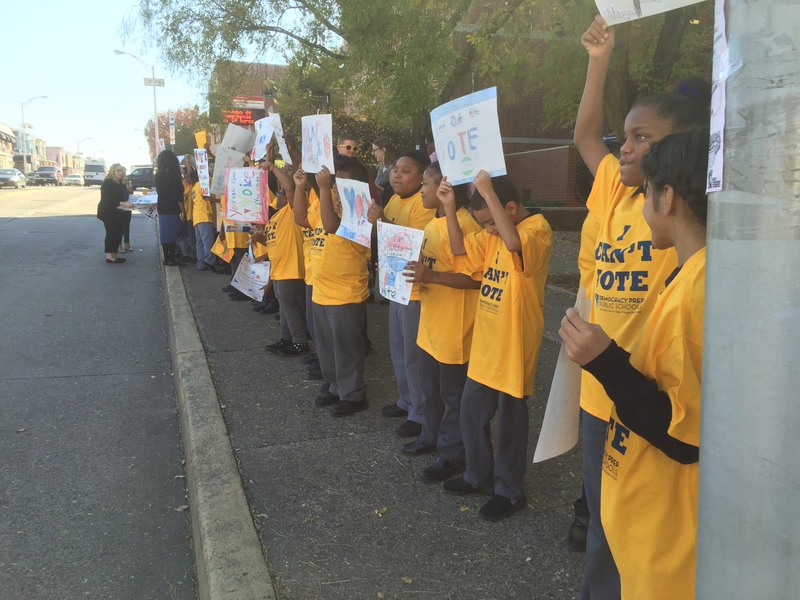 Several passersby agreed, pumping their fists in solidarity as the scholars’ chant continued. 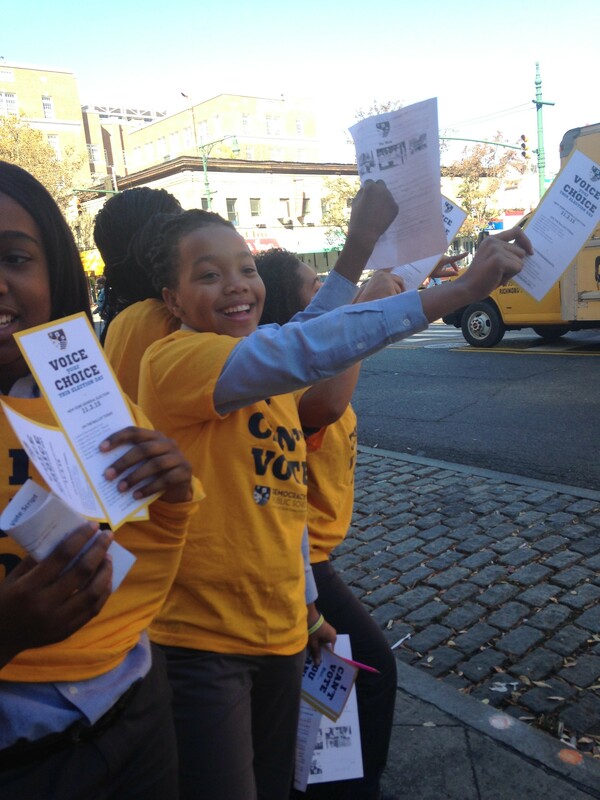 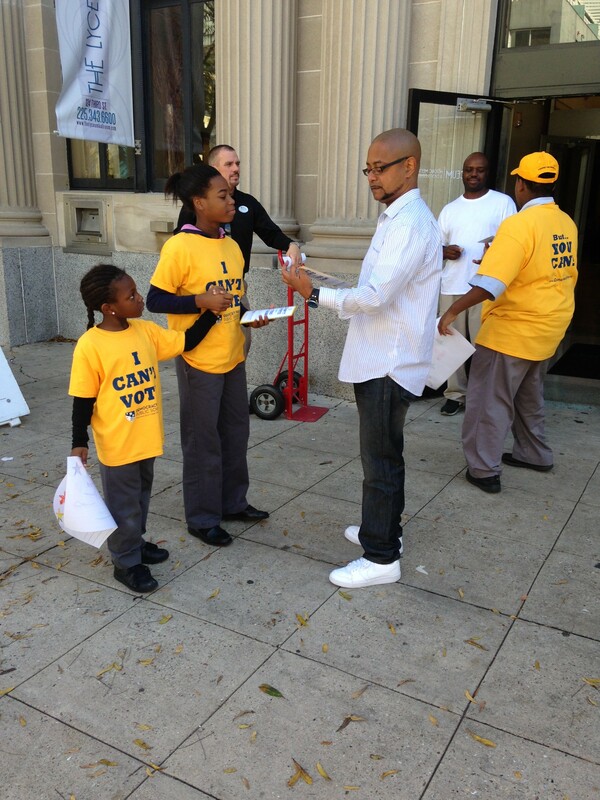 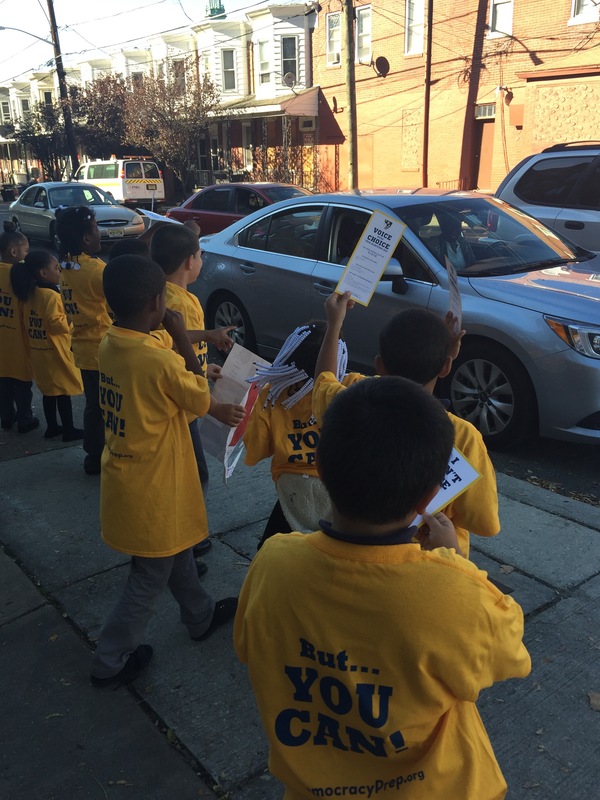 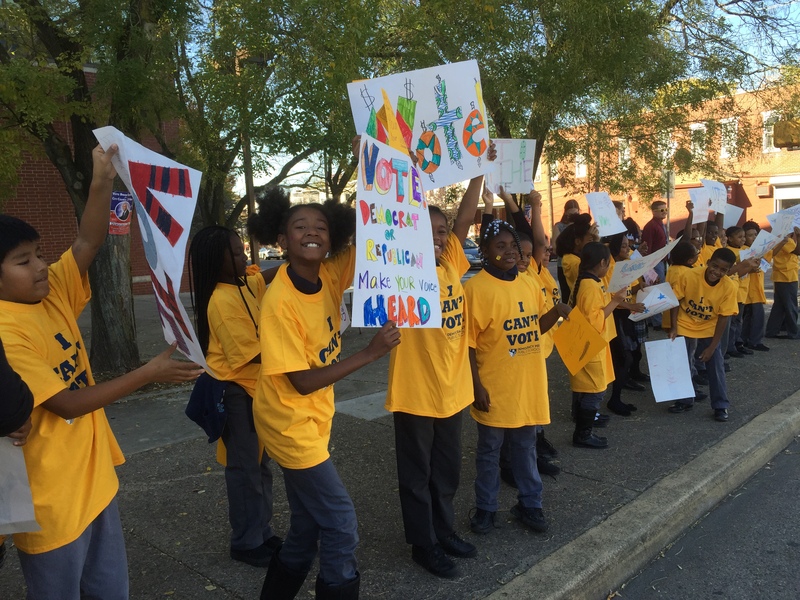 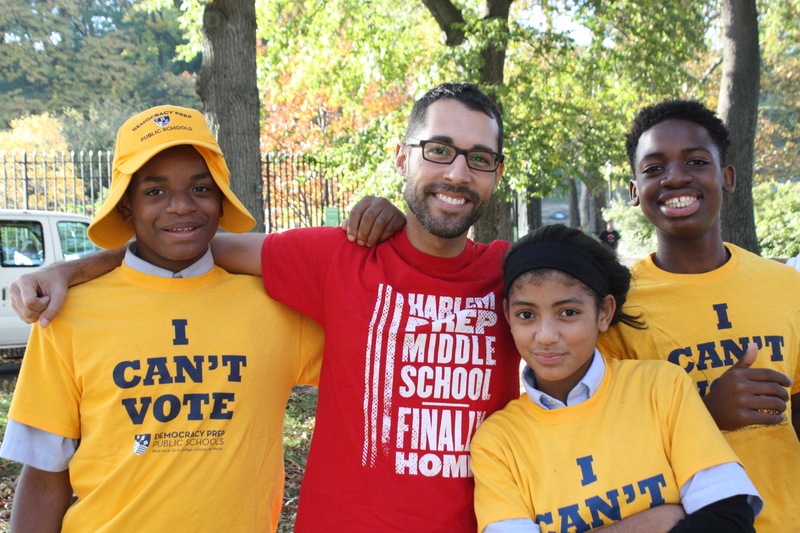 Scholars in the Bronx, Harlem, Camden, and Baton Rouge, LA took to the streets in their neighborhoods to urge members of their communities to vote. 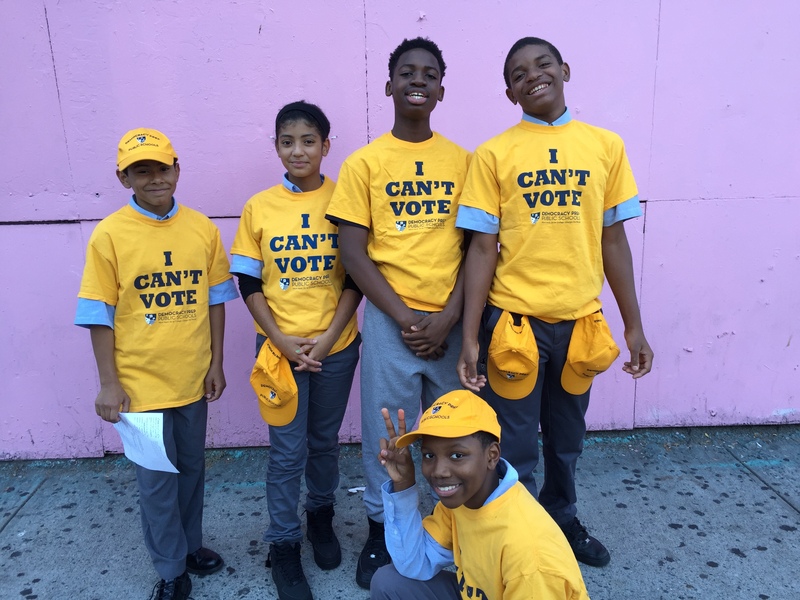 How did you get out the vote? 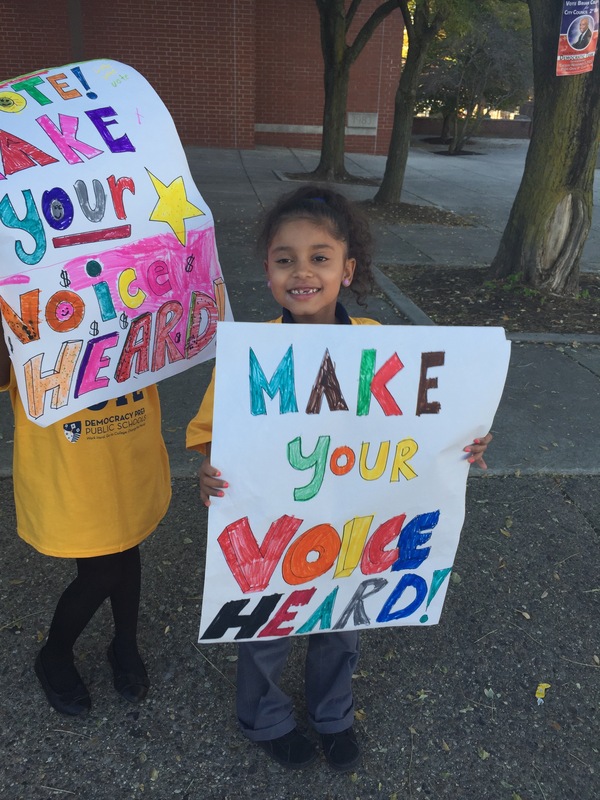 Leave us a comment below and share your story!